Three stars of the 1961 motion picture musical "West Side Story" reunited to discuss their work in the hit movie. 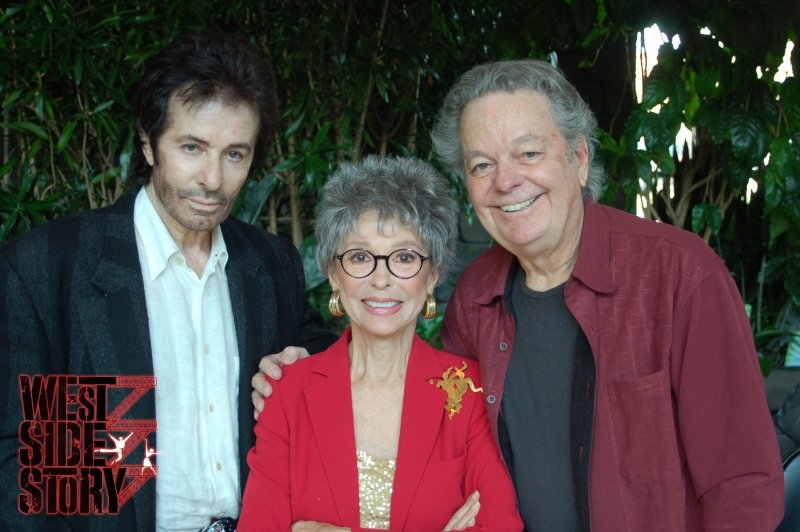 George Chakiris (Bernardo), Rita Moreno (Anita) and Russ Tamblyn (Riff) appeared before screenings of "West Side Story" on Saturday at Hollywood Palms in Naperville, Illinois and Sunday at Hollywood Blvd. in Woodridge, Illinois. Needless to say it took almost a week to get the song "America" out of my head....."
For a small fee in America! "